Animal breeding legislation to outlaw puppy and kitten farms in the ACT was introduced in 2015 and further laws to regulate the breeding of cats and dogs was introduced in 2017. The female cats and dogs used in puppy and kitten farms are impregnated as often as possible without regard for their health and welfare. They are often deprived of social interaction, exercise and responsible health care for their entire lives. People found responsible for the intensive breeding of female dogs and cats can now be charged up to $15,000 for an individual and $75,000 for a corporation who exploits animals for the pet market. 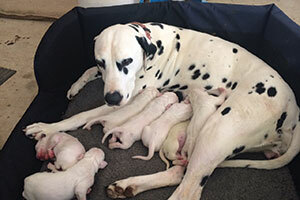 Breeders will need to adhere to declared minimum standards covering areas such as the age at which a dog or cat can be bred, the number of litters they can have and the frequency with which they can be bred.